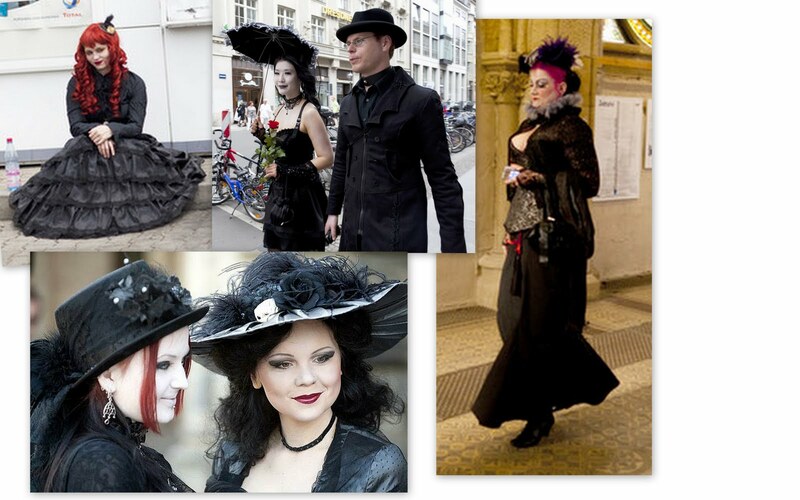 It's one of the biggest displays of Gothic fashion in the world. 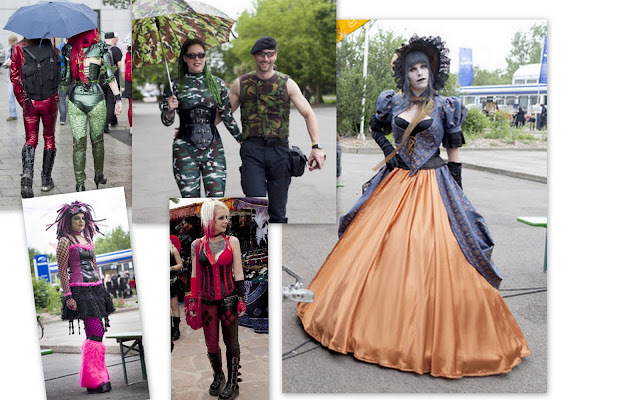 2000 20000 fans converged on Leipzig, Germany for Europe's most popular Gothic music festivals. The most impressive spectacle of course, was the fashion on display last week. 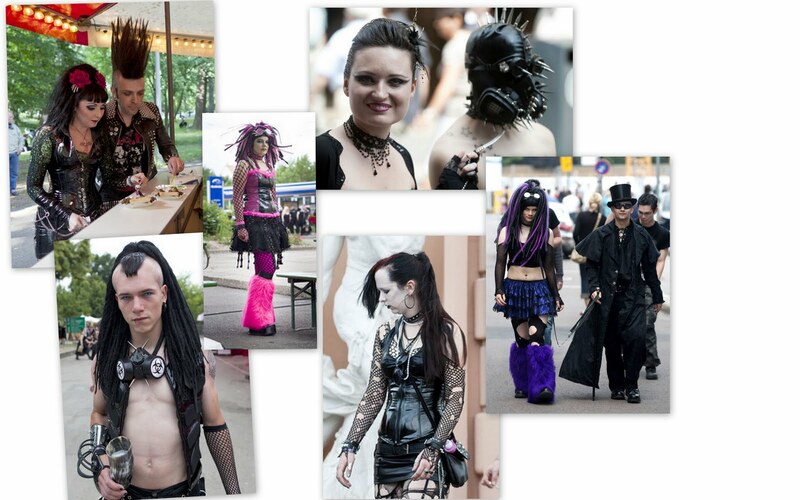 Almost every sub-style was represented at Wave Gotik Music and Art Festival. You had your romantics, your Renaissance and Victorian groups. 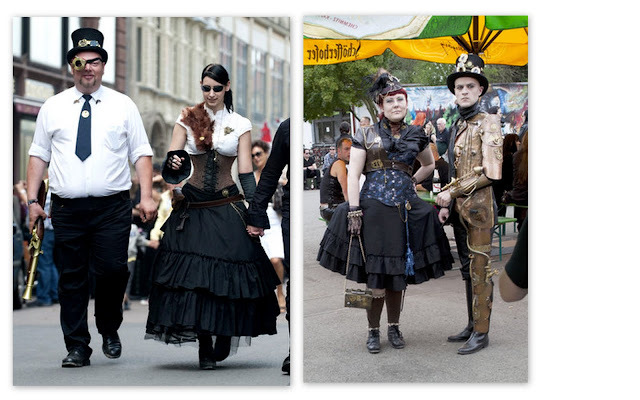 Cyber punk Goths mingled with Steampunks. Lolitas were on board, along with new styles like Camo-Goth. While black and red are the classic Goth palette, there many who used bright colors in their ensembles. Those of you who know Steampunk, know that it is a mix of history and science fiction. 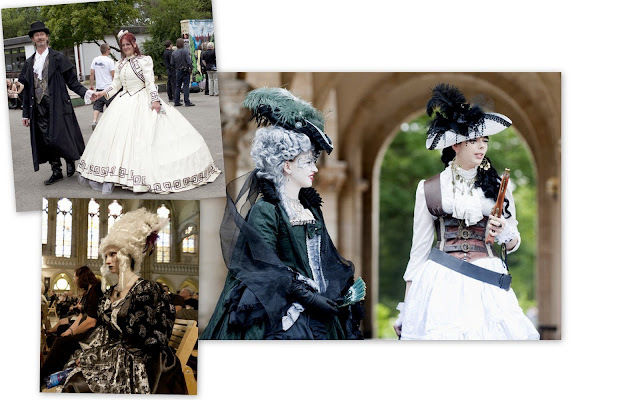 Fans of this site love the aesthetic and beauty of the eras the costumes portray and marvel at the craftsmanship. Fans of the literature love the historical detail and fantasy. How much do people really follow the science though? 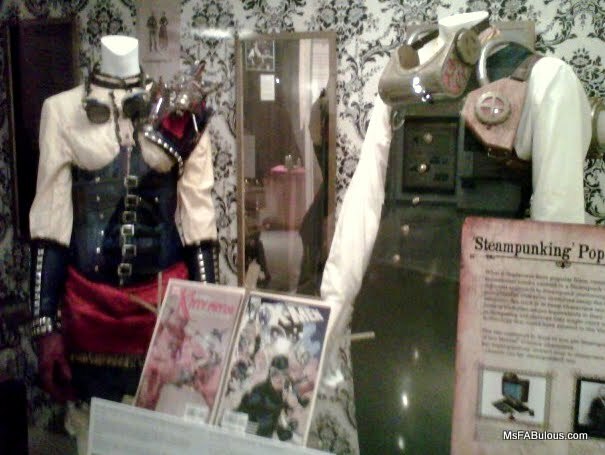 Students of the Master of Museum studies degree at the University of Toronto have put together The Difference Engineers: The Origins and Development of the Steampunk Counterculture Movement at the Ontario Science Center. The exhibit imagines an alternate history for downtown Toronto. One where the skies are filled with "sky-seeing" trips from steam-powered airships while workshops produced clockwork robots next to ladies at afternoon tea. 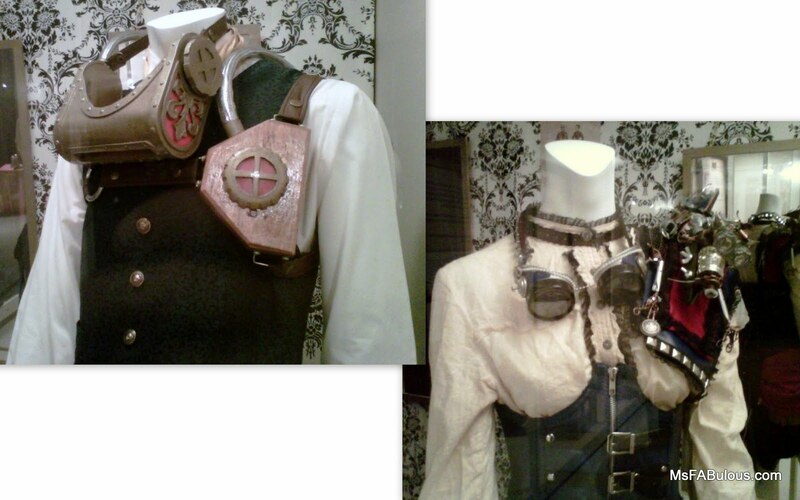 Some of the fashion offerings include Steampunk renditions of popular X-men characters. 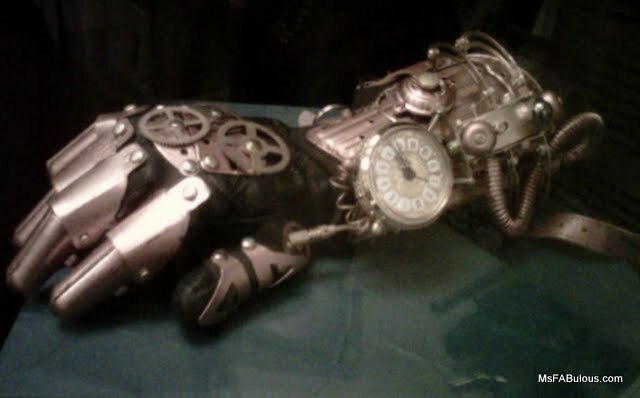 More elaborate creations that mix function and style came in the form of the gear-filled glove below.